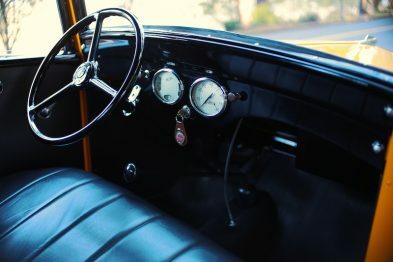 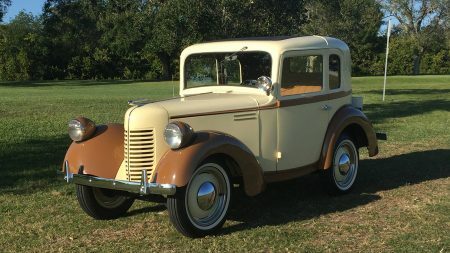 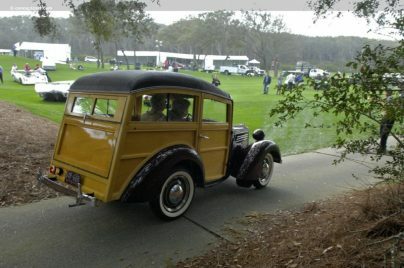 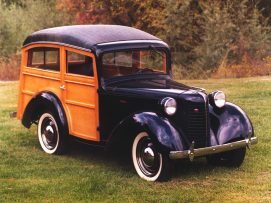 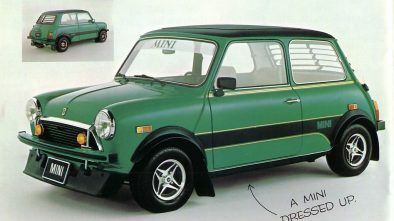 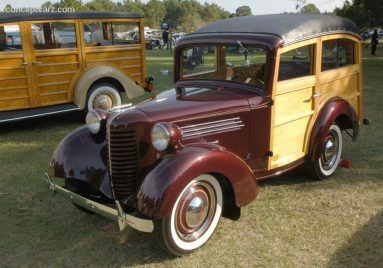 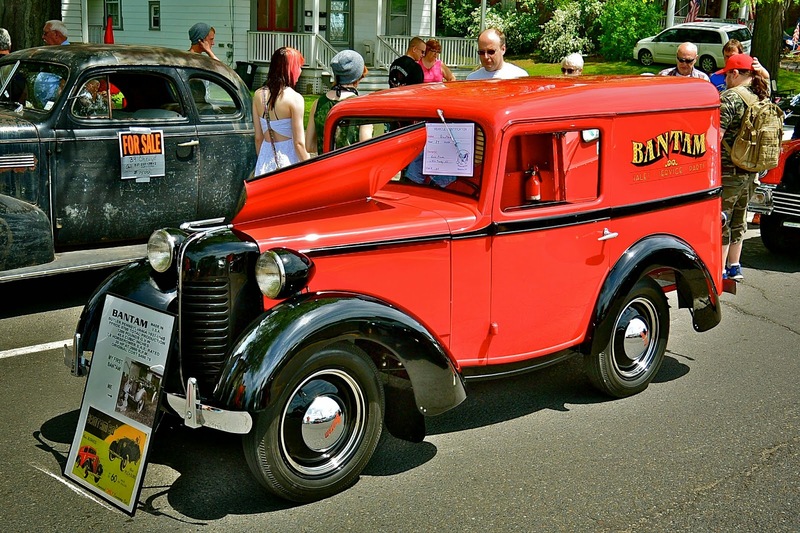 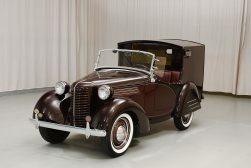 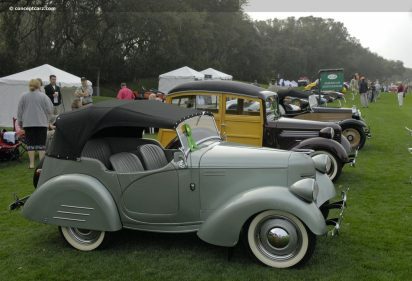 American Bantam company was a successor of the American Austin Car Company, which was connected to the British Austin Motor Company. 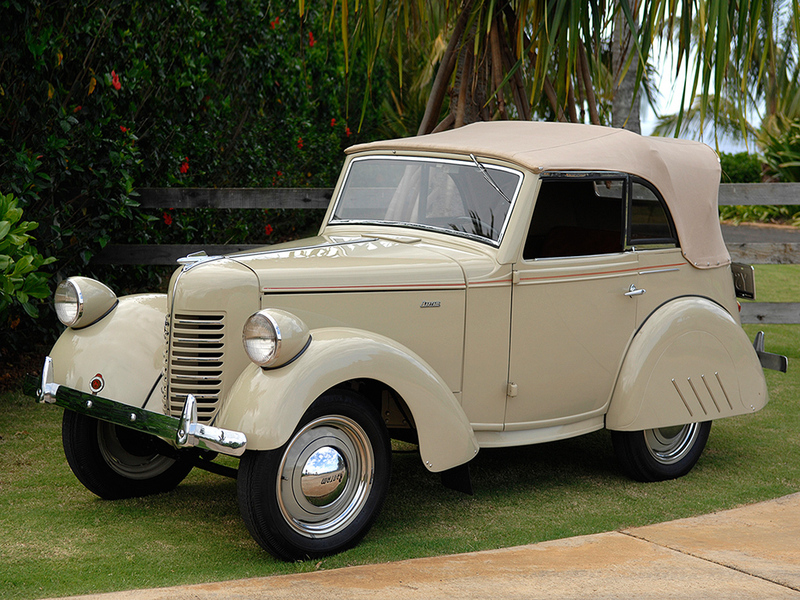 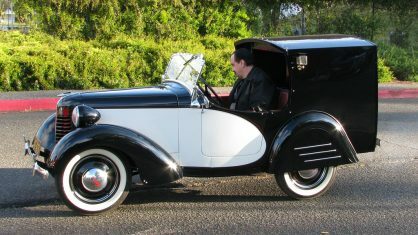 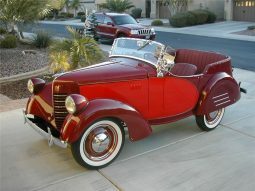 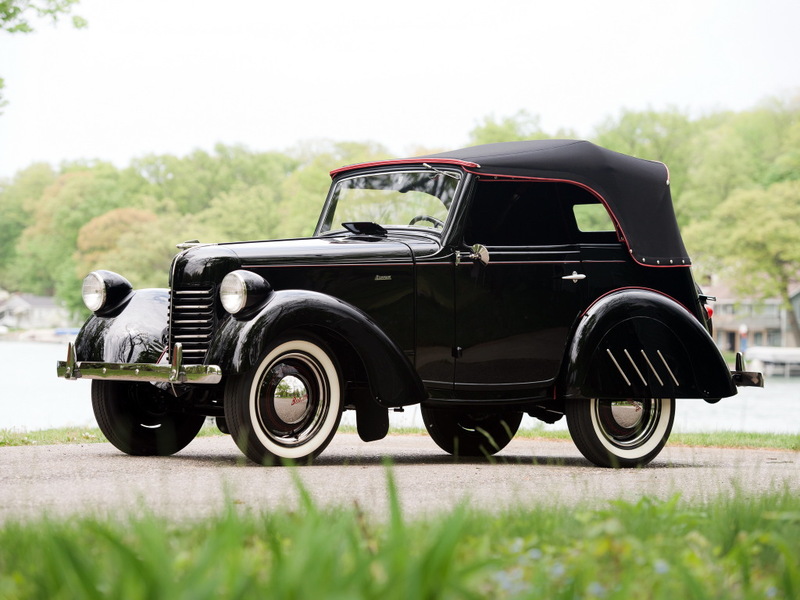 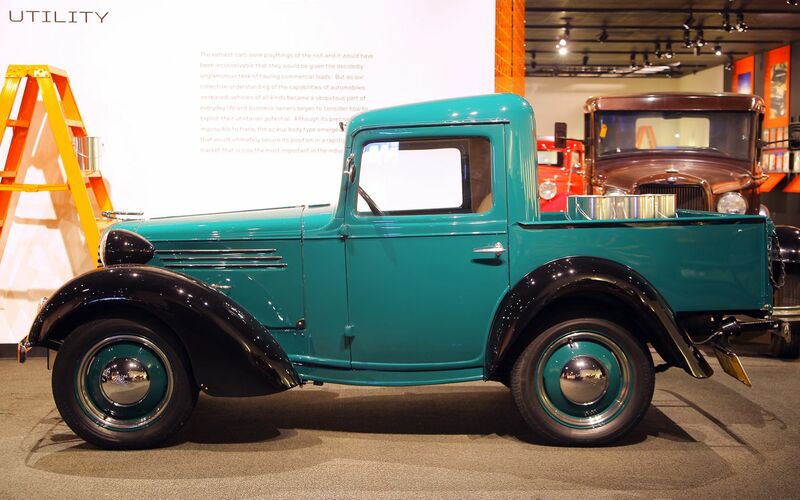 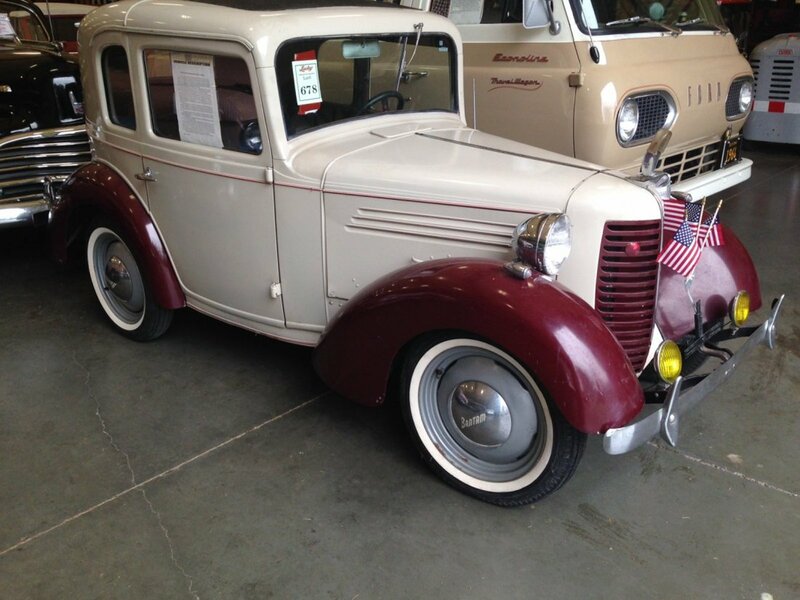 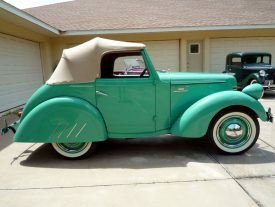 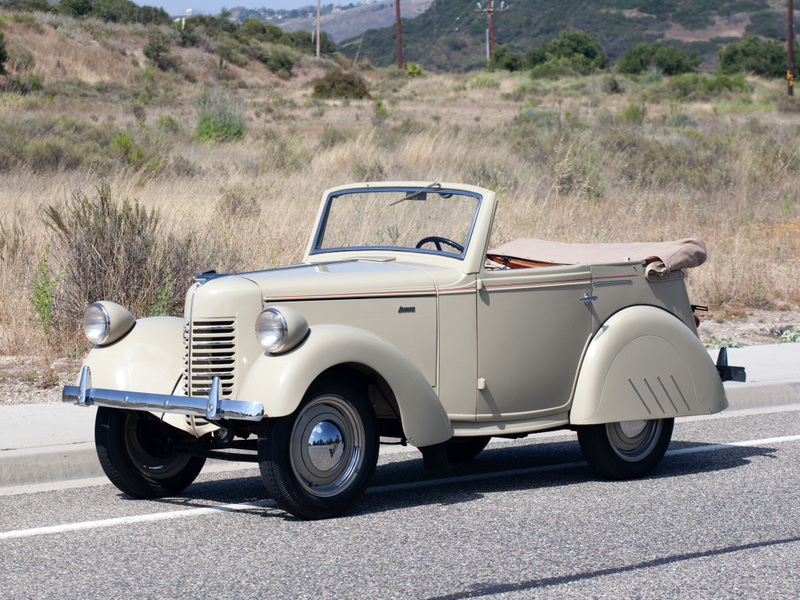 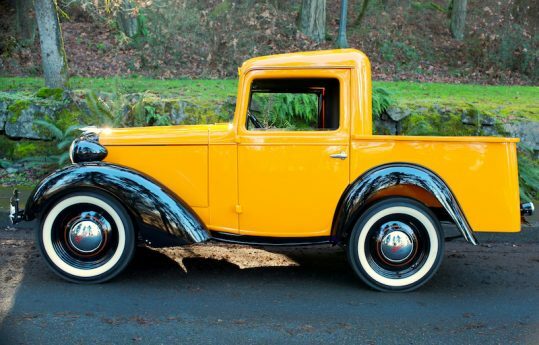 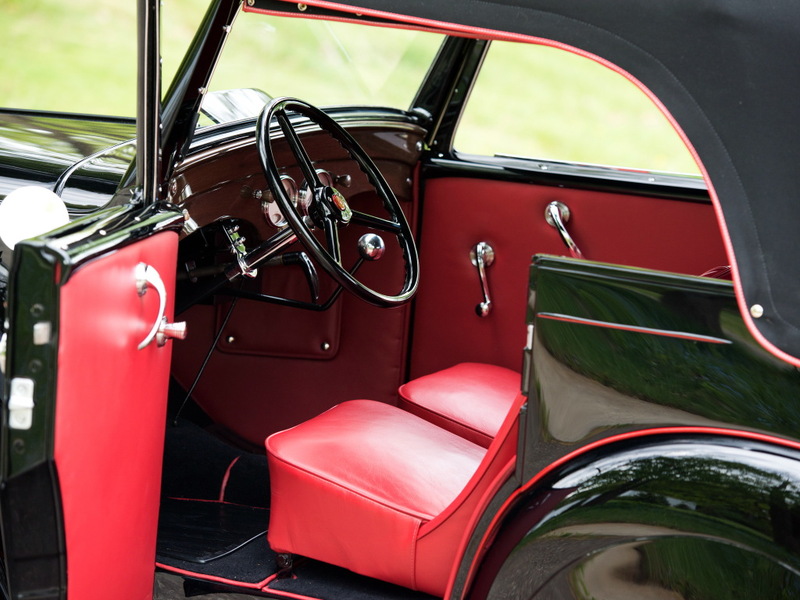 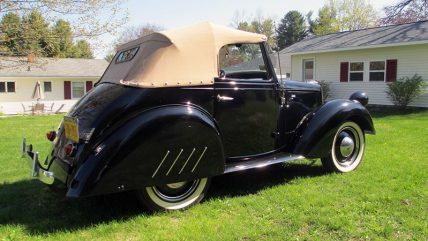 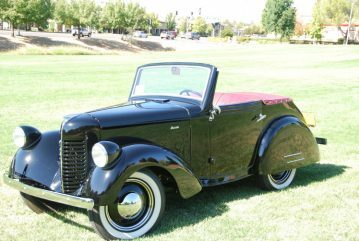 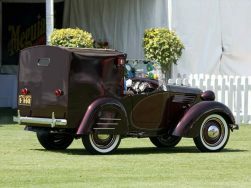 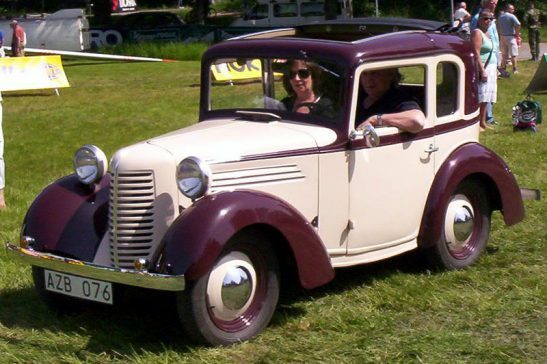 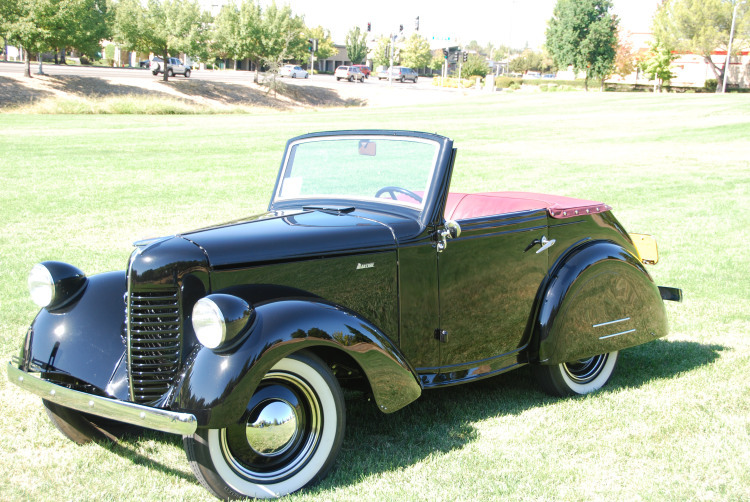 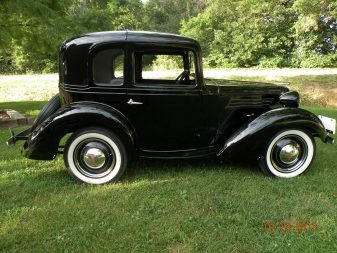 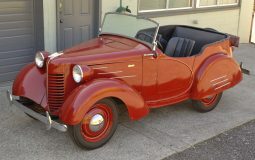 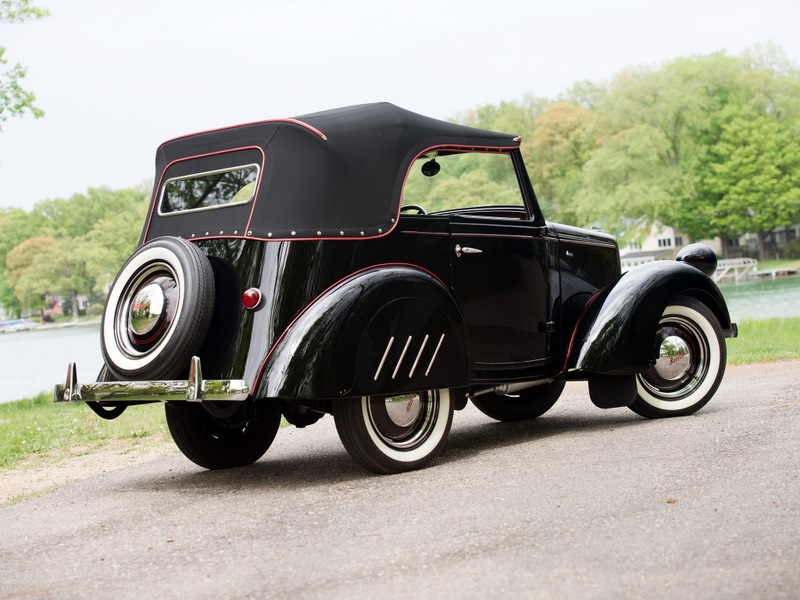 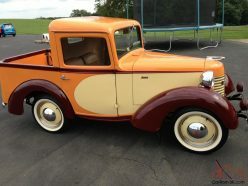 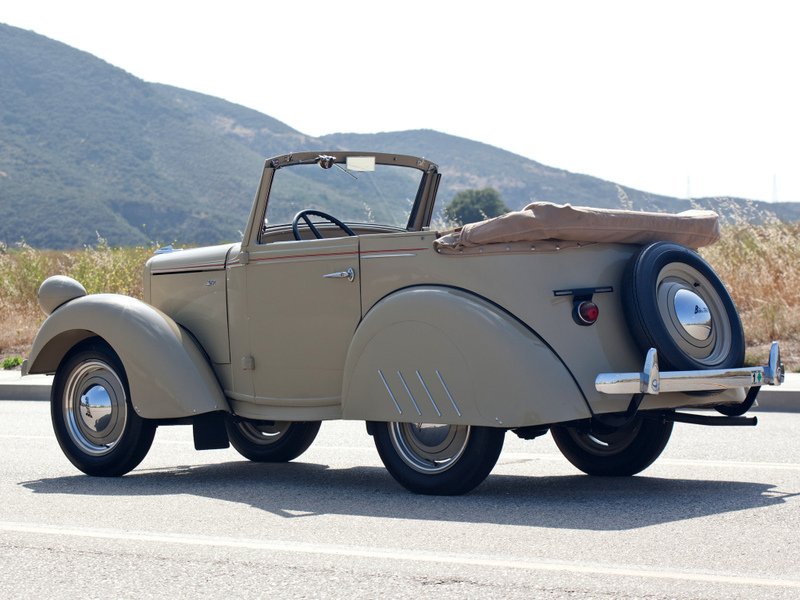 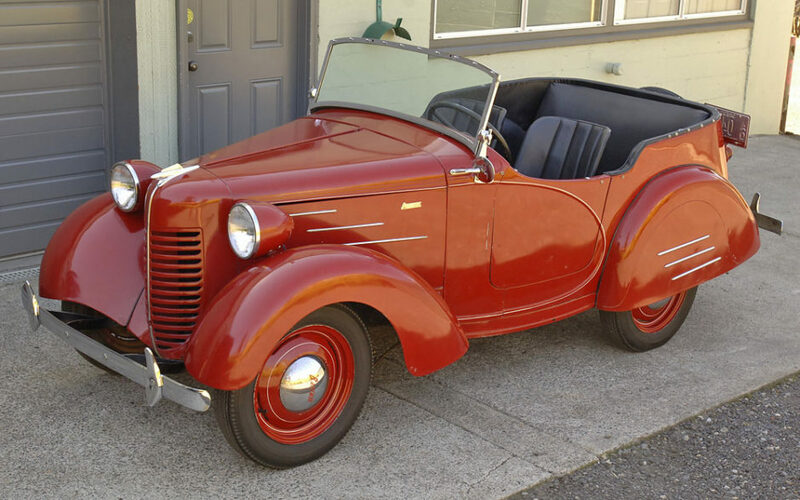 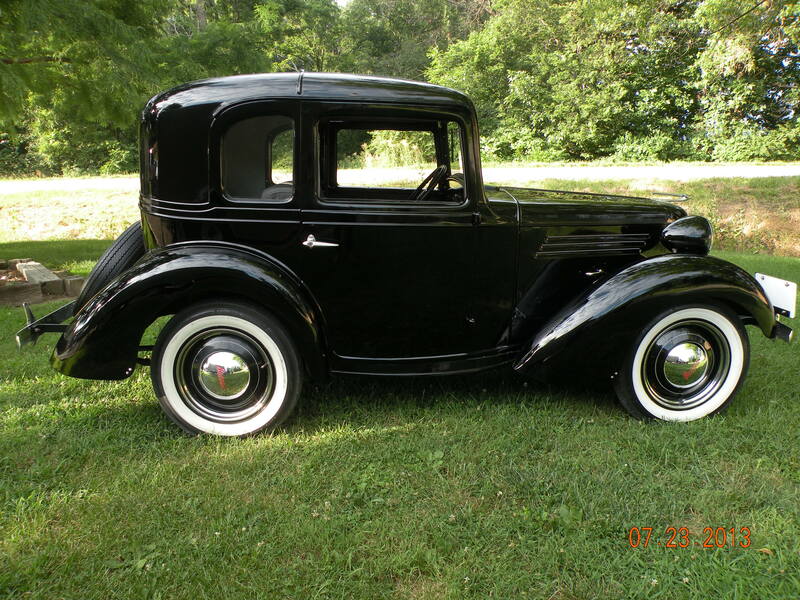 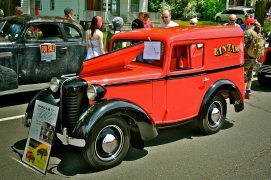 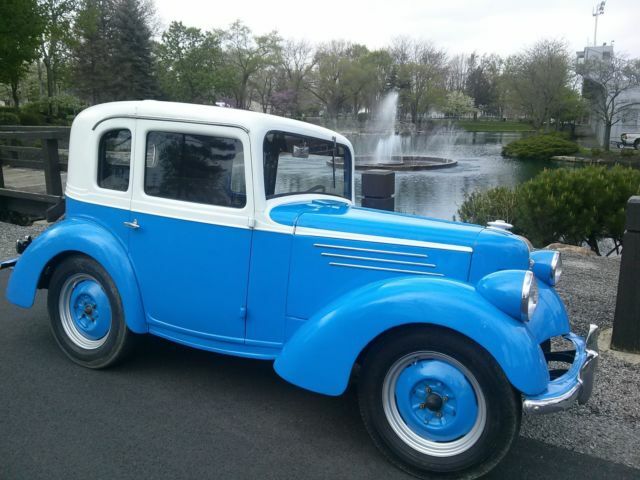 The American Austin was founded in 1929 and manufactured the Austin 7 for the US market from 1930 to 1934. Then it had to file for bankruptcy and was re-established the following year as American Bantam. 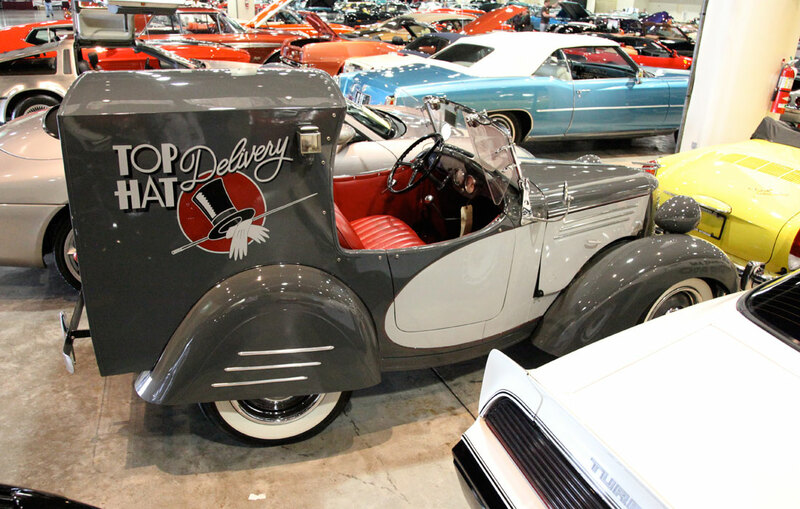 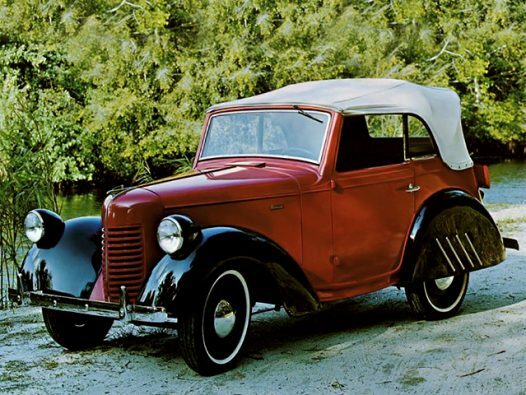 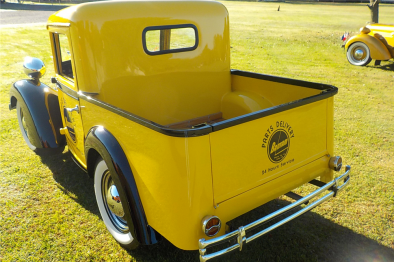 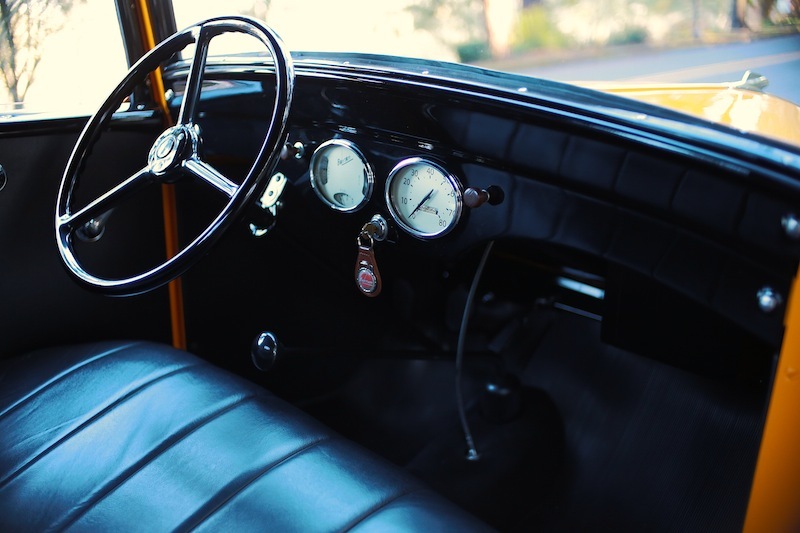 The newly formed company produced small cars from 1937 to 1941 and also designed the first prototype of the Jeep. After the re-establishement of the company, all relations with the British company Austin were broken off. 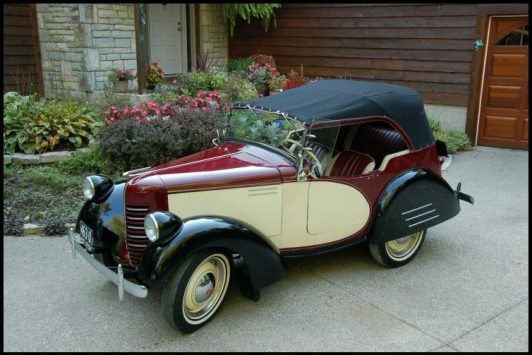 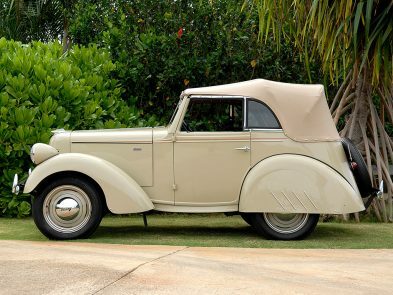 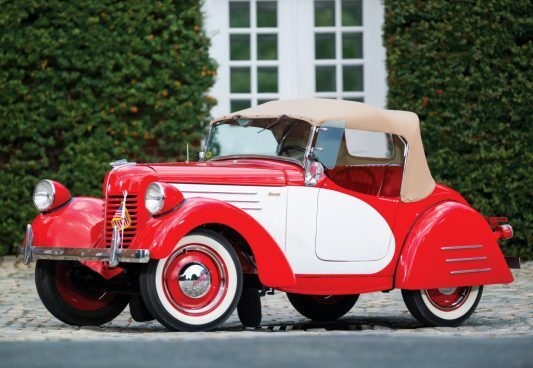 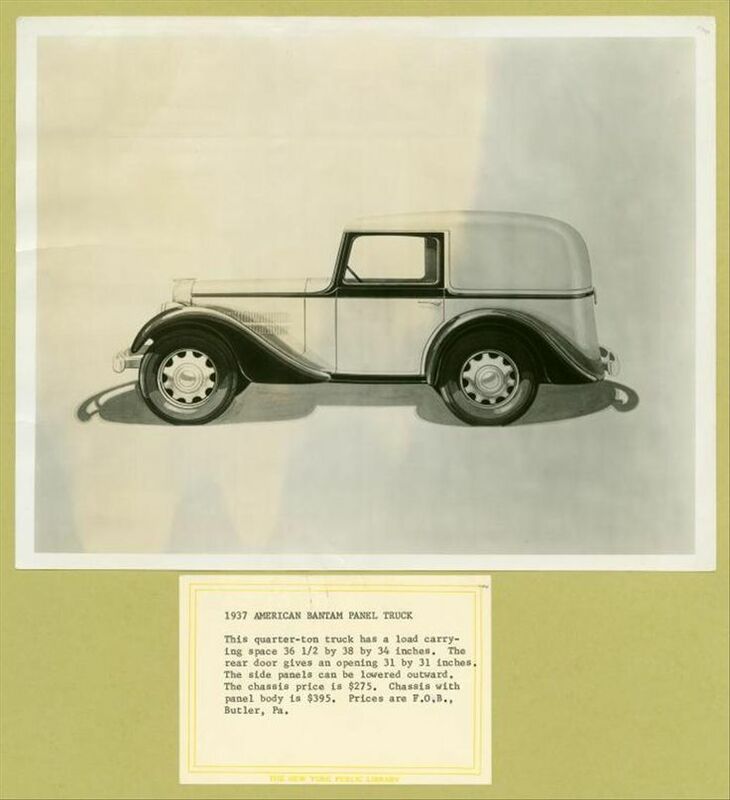 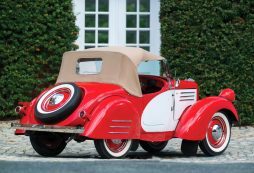 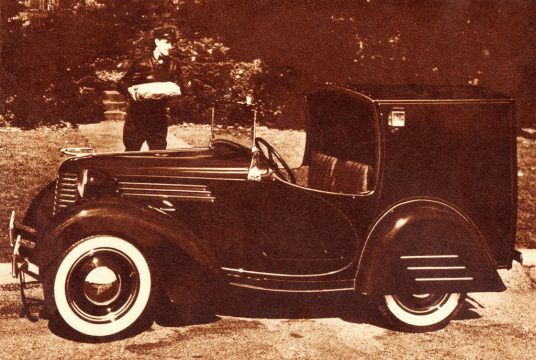 The design of the American Austin has been revised: it got a modified engine (with 19 bhp = 14 kW power) and the outer shell designed by Alexis de Sakhnoffski. 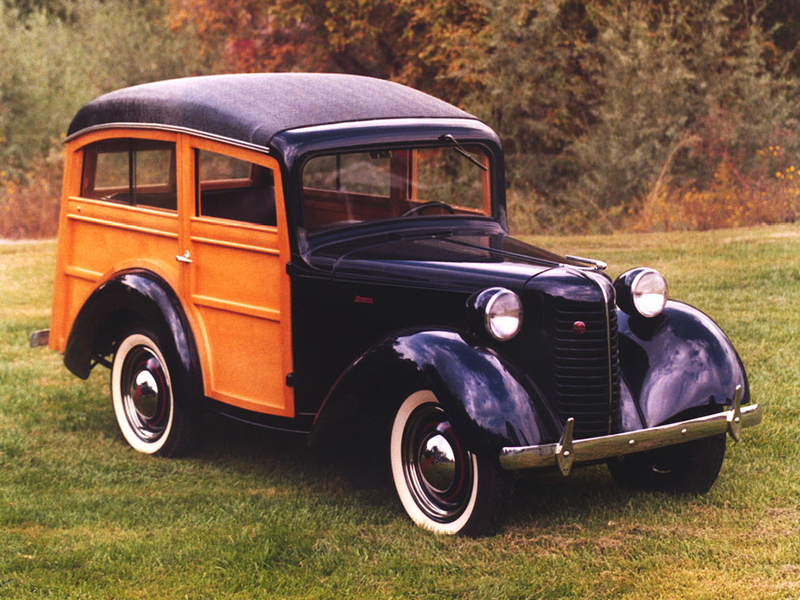 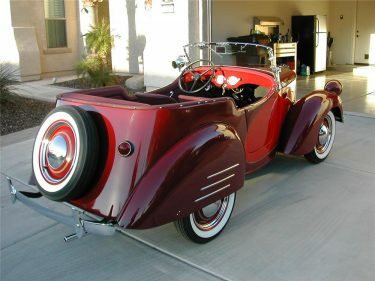 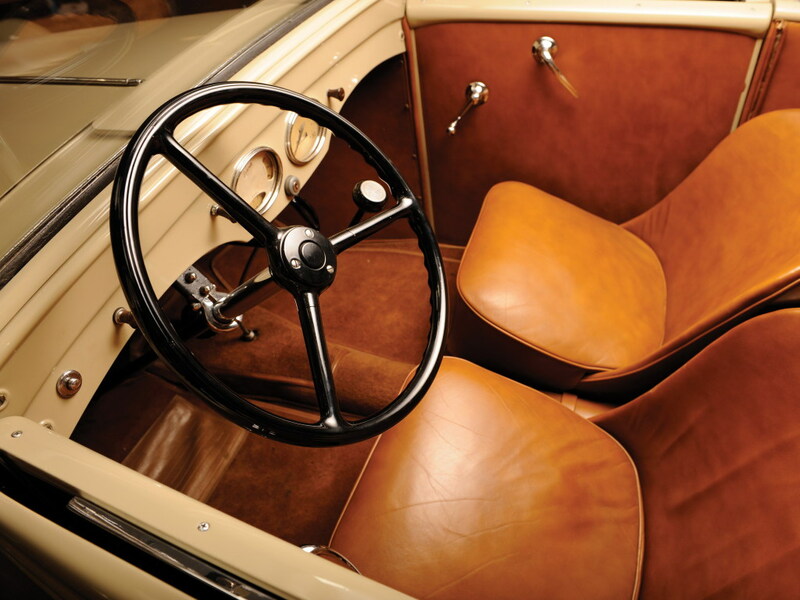 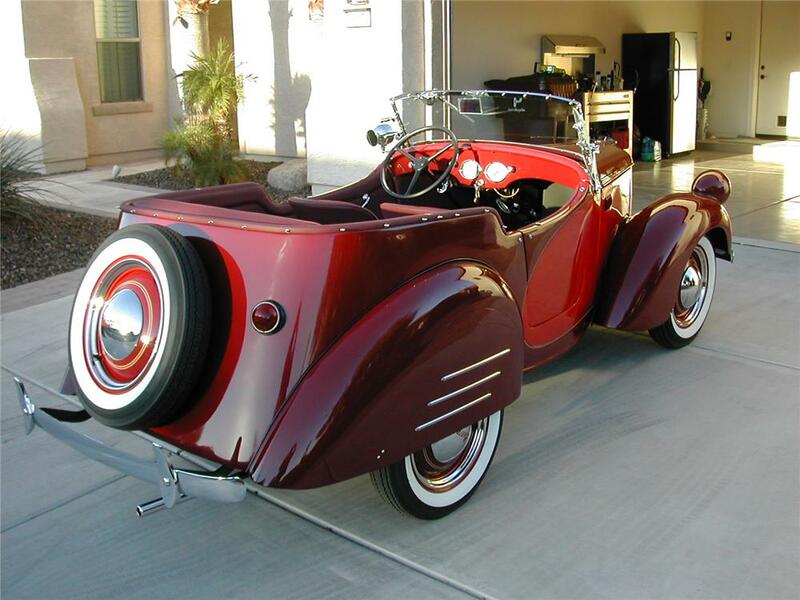 In 1937, production was resumed with the Model 60 and continued until 1939. 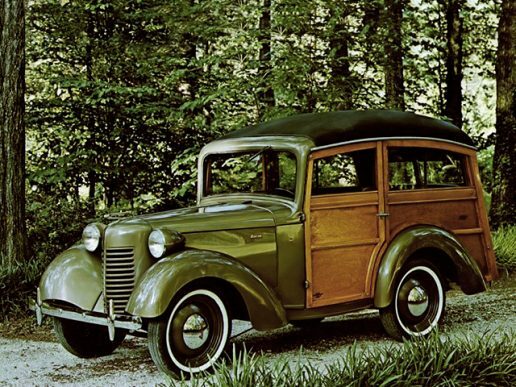 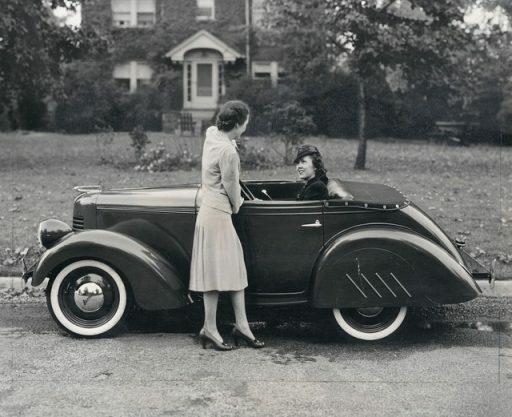 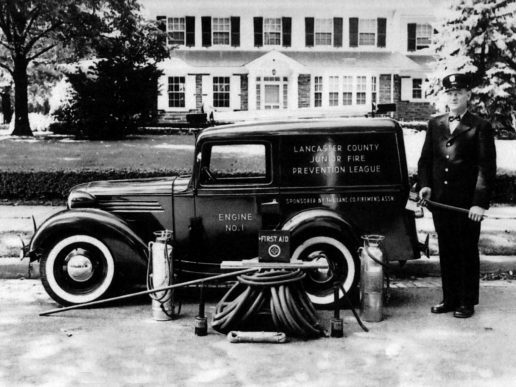 1940 the stronger Model 65 entered the market. 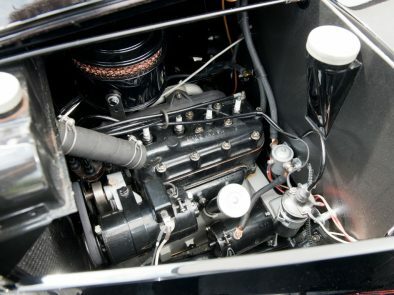 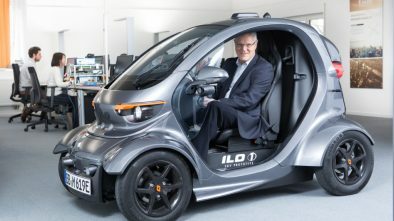 The engine delivered 22 bhp (16 kW). Although a variety of different bodies were made (Standard Coupé, Master Coupé, Master Roadster, Coupé Cabriolet, Sedan Cabriolet and Station Wagon). 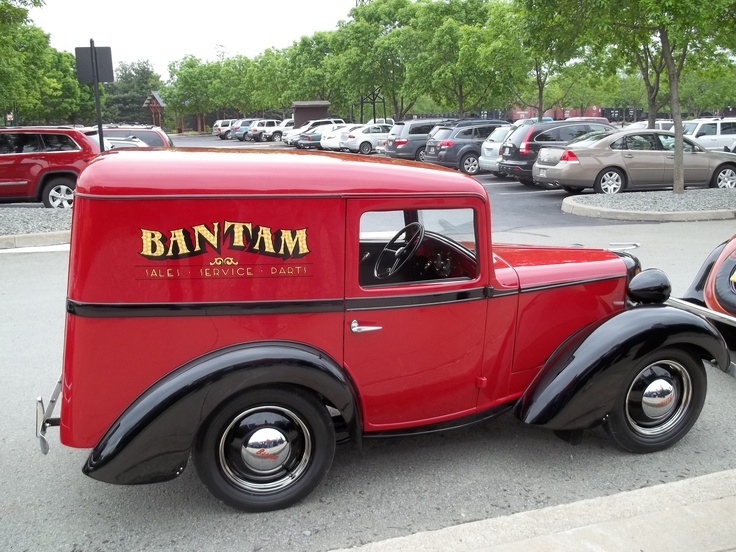 Total of 6000 Bantams were made. 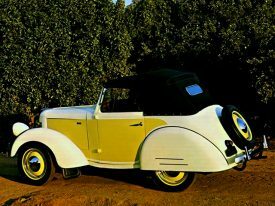 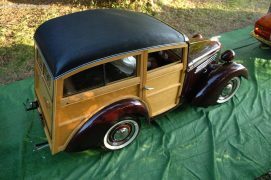 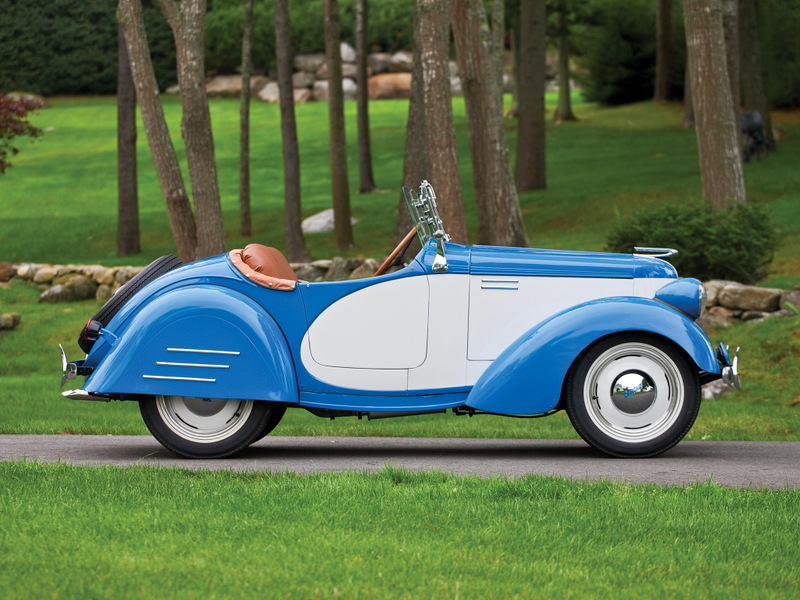 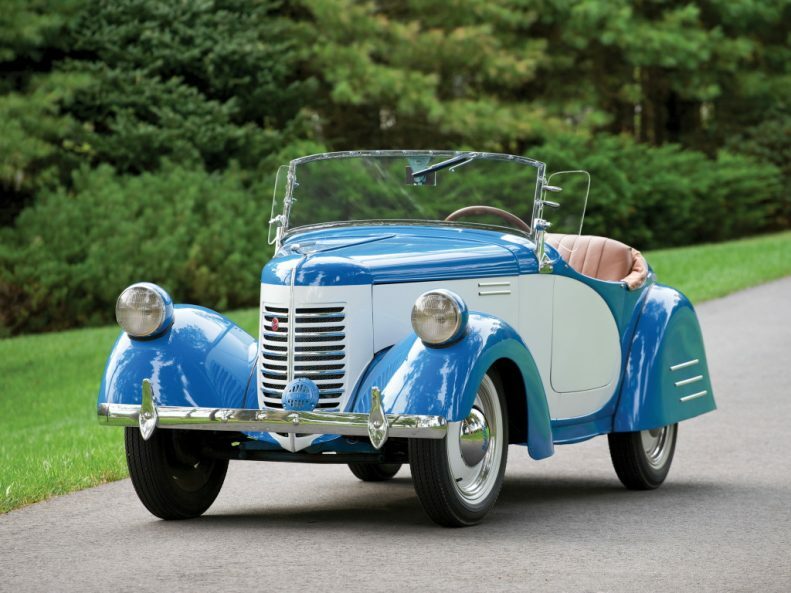 The Model 60 of 1938 became known as a template for Donald Duck’s car.